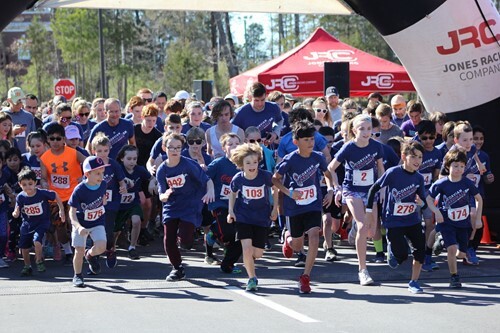 There was exciting energy in the air at the sixth annual Corvian Cardinals 5k. Jones Racing Company did an outstanding job with race production, management and timing. We had various sponsors and vendors participate this year that made the event extraordinarily successful. The Efland Group and Harris Orthodontics were just two of our corporate sponsors, out of many, that provided their time, talent, and sponsorship to take the Corvian Cardinals 5k to the next level. Many thanks to them and all the other sponsors, planners, collaborators, and participants in yet another wonderful Corvian Community School event!